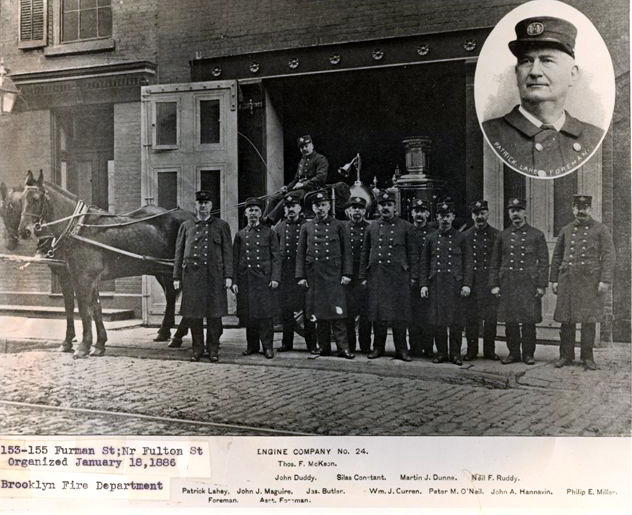 Engine 224 was originally organized as Engine 24 of The Brooklyn Fire Department on January 18, 1886. It was later reorganized as Engine 224 on January 1, 1913. On the rig is Thomas F. McKeon and in the circle is Patrick Lahey, Foreman. MartinJ. Dunne, Peter M. O'Neill, Neil F. Ruddy, John A. Hannavin, Philip E. Miller. They had 3 horses: Ton-John-Paddy. My name is Robert Conner. 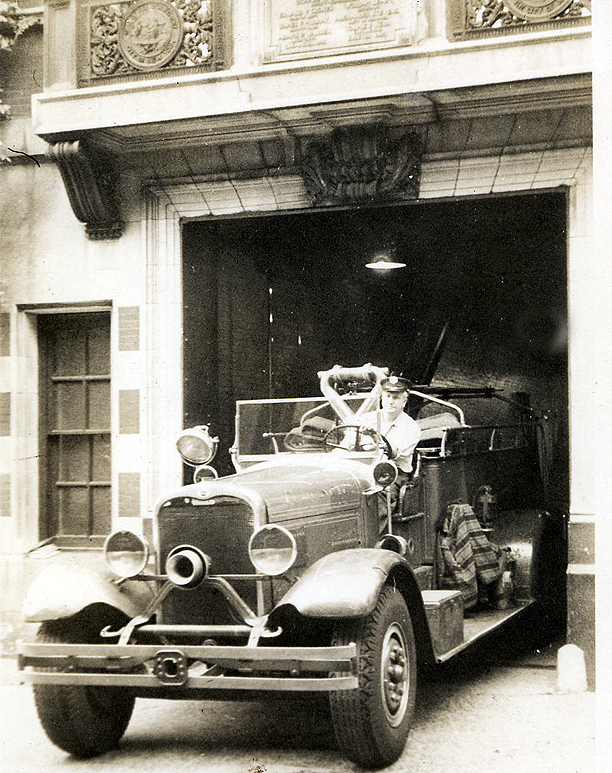 My father Charles W. Conner was a member of Engine Co. 224 from March 16, 1936 to approx. 1961. He was then assigned to the Brooklyn Searchlight 2 out of Eng. 256 on 124 DeKalb Ave. After a few years there, he went to LSS on Welfare Island from where he retired in 1971 after 35 years of service. He died peacefully in his sleep on St. Patricks Day, 1990.